Anne Tolley: an agent of colourblind racism? 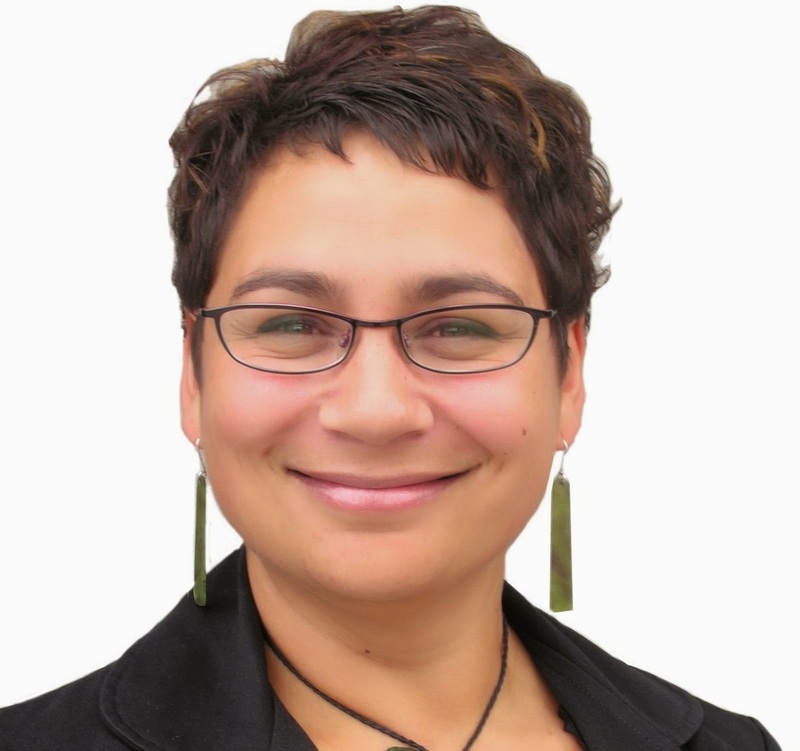 Green co-leader Metiria Turei: stereotyped and slandered. Tolley said she was insulted by Green Party claims that she was out of touch. "I'm actually insulted to be lectured about how out of touch I am with average New Zealand by a list MP who has no constituents, lives in a castle and comes to the House in $2000 designer jackets and tells me I'm out of touch," Tolley said. It is not the first time National MPs have attacked Turei's choice of clothing. Justice Minister Judith Collins said last year on Twitter that a speech by Turei was "vile, wrong and ugly, just like her jacket today". It’s easy to think that racism is an act that belonged to other people, in another time, in another place. Except it isn’t. And it never was. Some New Zealanders are aware of the realities of the racial hierarchy: the wealth gap; the employment gap; the apprehension, prosecution and conviction gap. But less New Zealanders appreciate the language of racism. Not the language of niggers, kikes and kaffirs. But of "semantic moves" - of coded insults and racist premises. We live in the age of racism without racists. Racism comes with its own stigma. People want to avoid that. But rather than change their behaviour, society has invented rhetorical parachutes. Suddenly racism can’t exist without racial words. Racism becomes the use of "Wogistan", but not the history and ideas that sustain it. Tolley didn’t need to mention race. Her attack is loaded with social, political and racial assumptions. The unspoken context is that Metiria, a Maori woman who lives well and dresses better, is acting out of turn and out of step with her community. How can she be in touch with her community when she isn’t living like them? The premise is that a Maori woman cannot dress well and claim to represent her people. Because Maori live exclusively in poverty, amirite. But Tolley can. She dresses like her community, lives with them and – it seems – perpetuates their prejudices. The premise is that her community is well off and that gives her the right to live well, dress well and hold power. Tolley is constructing a self-serving stereotype. A world of (literally) black and white where binary assumptions can be made about how racial communities live. "I think they seem to think it is all right for them to wear perfectly good suits for their professional job but that a Maori woman from a working-class background is not entitled to do the same. I think it is pure racism." "They do not think that a professional Maori woman from a working-class background should be able to wear good suits to work," she said. "I buy my clothes from some of the same shops they do. I think they find that they can't cope with that and I think it's because I'm a Maori woman from a working-class background." The common refrain is Tolley didn't invoke racial terms, ipso facto, she isn't racist. But it takes a determined effort in self-deception to strip Tolley’s remarks of their racial context. Metiria doesn't conform to Tolley's idea of what and who Maori should be, therefore Metiria is out of touch with her community. That's racial stereptyping. That's colourblind racism. A hijacked version of colourblindness has become the dominant racial ideology in New Zealand (and across the west). Because of that most New Zealanders are hyper-attuned to racialism. But what they refuse to acknowledge is when racial stereotypes – stripped of their overtly racial words – are projected onto individuals, situations and communities. Like, say, when the assumption of Maori poverty is projected onto a Maori politician. There are several comparisons: when people discuss the warrior gene it can be framed as “science” and not a narrative used to explain inherent Maori criminality and violence. Welfarism can be used as morse code - a way to talk about Maori dependency without explicitly racialising the prejudice. Positive discrimination can be used to attack the growth of the Maori worldview in universities. The subtext is clear. It's colourblind racism. If there's no such thing as race - "I don't see in colour" - there can be no such thing as racial disadvantage. We're all a lump of humanity that cannot be distinguished. But this sort of colourblind racism is self-serving. It preserves the status quo and ignores why some people are better off than others. Where the colourblind ideologies of liberalism aimed to control for prejudice in society, the colourblind ideologies dominant today work to validate prejudice. Racial ideologies are highly contested. Rejecting colourblind racism is a political struggle. Colourblind racism seeks to silence multicultural pluralism and, instead, celebrate a kind of monocultural nationalism that can't include non-conformists. That serves the status quo. Racial progress is stalled. We can't allow the racists to create their imaginary future. And calling Tolley on her (conscious or unconscious) racism is part of that. The pot calling the kettle brown: why Winston Peters can't talk about "separatism"
Mr Peters, speaking at Ratana Pa, says his party would never support "separatist" Maori Party policies such as having separate Maori units in prison, the separate Maori social welfare system Whanau Ora and the Tino Rangatiratanga Flag. "What Maori need is housing, decent healthcare, decent education system and first world jobs and wages," Mr Peters says. "The Maori Party has abandoned that for sociological objectives which are of no interest to Maoridom at all. "Apartheid policies are based on racial preference. This is, too." Winston likes to rewrite his own history. It wasn’t that long ago that Winston held the office of the Minister of Maori Affairs. And it wasn’t that long ago that New Zealand First held the five Maori seats. Winston grumbles about separatism, except when it suits Winston. It might seem counterintuitive, but in 1991 - the year Winston was sacked as Minister of Maori Affairs - “busloads” of Maori arrived in Wellington to protest the move. Odd, you might think, for a person who opposes Maori policy. Except it isn’t. There’s rhetoric and reality: there is the party leader who argues that “hundreds of millions of taxpayer dollars are to be siphoned off social services for the race-based Whanau Ora programme”. And then there’s the Minister of Maori Affairs who commissioned the Ka Awatea report, created the foundations of Te Puni Kokiri and – a few years later - contested the Maori seats. The pot is calling the kettle brown. When Winston debates race he’s making an unstated political claim. His opposition to whanau ora is less to do with race and more to with his opposition to devolution. In the early 1990s Winston aggressively opposed the New Public Management model (NPMM). The Ka Awatea report he presided over was, essentially, a broadside against the NPMM and the fragmentation of the state it created. The report argued Maori interests are best served under a centralised agency combining policy and operational functions. But that advice went against the trends in public sector management and society. Whanau ora is part of that trend. Winston is trying to make up lost ground. He may have won one battle – over the nature of Te Puni Kokiri – but he lost the war. He’s fighting the battles of the 80s and 90s with Victoria racial rhetoric. Even if it means forgetting his own history. It’s a real shame that Winston Peters decided to launch his latest dog-whistle attack while waiting to be welcomed on to Rātana Pā on Friday. 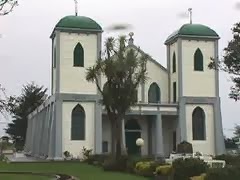 As was predictable, his comments became the major story of the day in the media, and they distracted from the very real kaupapa that were raised by the Rātana people themselves as politicians came to honour the birthday of the prophet Tahupotiki Wiremu Rātana. 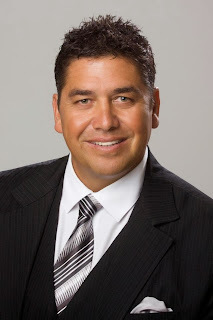 For those who were lucky enough not to hear Winston’s comments, he essentially referred to the Māori Party’s policy gains in Government as “apartheid”. Supposedly, flying the Tino Rangatiratanga flag on Auckland Harbour Bridge, whānau ora, and separate Māori prison units are all apartheid policies. For Winston, this is all about electioneering. He is playing to his core constituency with these dog-whistle tactics. The desperate tone of his comments reveal a politician of a by-gone era trying to stay relevant. The comments were inappropriate given where he was speaking – one of T.W Rātana’s primary goals was the just restitution of Te Tiriti of Waitangi, a goal which he essentially disparaged with his attack on the Māori Party. They were also hugely inappropriate considering how recently Nelson Mandela passed away, a leader of the liberation movement that broke the stranglehold of real apartheid - a brutal, racist and completely inhumane regime. To compare that with the Māori Party's policies is extremely offensive. I had the privilege of listening to and contributing to the kōrero on the paepae that day. We were informed by te iwi mōrehu (followers of the Rātana faith), of the realities of the day-to-day lives of their people. They implored political parties to work together for the benefit of the Māori people. Their key proposals were for a strong regional development strategy, investment in reducing youth unemployment, warm dry housing and an inclusive education system that equips tamariki and rangatahi with skills required for the jobs of the 21st Century. These are the issues that should have been debated in the media, and the issues political leaders should have been asked for comment on. But no, Winston’s strategy of grabbing the media attention with hyperbole worked for him – as it always does. 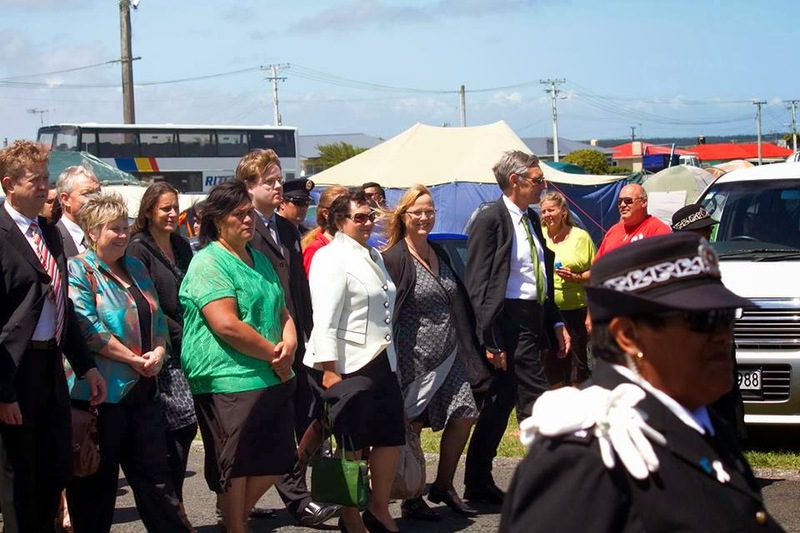 The Labour and Green parties were welcomed on to the marae together – as has been the case for the last several years. Labour had a large delegation of MPs and candidates and the Greens were represented by co-leader Metiria Turei, Māori Green MPs Denise Roche and David Clendon, and candidates Marama Davidson and myself (Jack McDonald). One thing that was very apparent was the health of the Lab-Green relationship; both parties work well together and are driven by many of the same core values, both are committed to raising the living standards of Māori, and working in collaboration for the benefit of all New Zealanders. Māori expect the parties of the Left to work together and embrace kōtahitanga. To honour Te Tiriti and eliminate poverty, we must change the government. Neither Labour nor the Greens can do that without the other. It's imperative that these parties look and act like a government-in-waiting, ready to get stuck in and work together so they can hit the ground running in the first 100 days of a new progressive government. Of course the parties have their differences, some substantial, and the debate over risky deep sea oil drilling is a timely reminder of that. That is the nature of MMP and those differences can be thrashed out in post-election negotiations. At the end of the day, both Labour and the Greens need to listen to the teachings of T.W Rātana, who always stressed kōtahitanga and unity. Nothing less will improve the lives of those who need us most; the vulnerable, the disillusioned and marginalised in our society. Brendan Horan is concerned that Te Puni Kokiri is massively overspending on contractors and consultants while at the same time lacking the staff to have the capacity to deliver on its core mission. “Te Puni Kokori spent over $9.5 million on consultants and contractors in the last financial year. Over 130 businesses, organisations and individuals benefitted from this largesse, holding contracts with a value of nearly $18 million,” said Brendan Horan. “At the same time, Te Puni Kokiri’s staff numbers are 15.3% below the minimum needed to deliver the services that are required of them. This is unacceptable at a time when Maori are at the wrong end of the scale in education, in employment, and in achievement. Every government department contracts for external services. But $9.5 million is excessive. That represents 16% of Te Puni Kokiri's total budget and 28% of its total personnel budget. In 2012 only $4.7 million was allocated to Te Puni Kokiri for "consultant's fees". Michelle Hippolite, the CEO, explained to RNZ that she thinks Te Puni Kokiri "has the appropriate mix of staff and consultants" while officials told the Maori Affairs Select Committee that the consultant blowout was a result of "holding off from filling 56 jobs while a review of the department was carried out". I'm not convinced that it's appropriate to leave 56 positions in limbo in any department, least of all a department that provides important administrative services and policy functions to several ministers, gives inter-agency advice and manages a number regional offices. Issues like Whanau Ora and the government's response to Wai 262 have also led to a significant increase in workload. Te Puni Kokiri's wanton outsourcing compromises efficiency and strategic capabilities. Existing and former staff have always been dedicated to Maori - and they've always done a good job - but management (appears) to be dragging the chain. Words like "efficiency" and "strategic capabilities" are derisory buzzwords, but they do affect Maori at the end of the line. An inefficient bureaucracy affects the services Maori receive. From Marae development to the Maori potential fund. Whanau Ora to Maori wardens. Why did we let this story escape our attention? misunderstood the logic of Maori politics. In the latter end of last year I tried to avoid political writing. I wanted to focus on issues like race and ethnicity. But that'll change. It's an election year. Expect this blog to revert to horse-race politics more often. But before that, some scene setting for 2014. When following Maori politics, remember that Maori maintain a separate polity. Although the Maori seats are part of Parliament, they've been integrated rather than assimilated. There's structural overlap with New Zealand politics - Maori politics is practised within New Zealand politics - but there's little intellectual overlap. The logic of Maori politics is different. Derek (the) Fox is an accomplished politician and speaker. 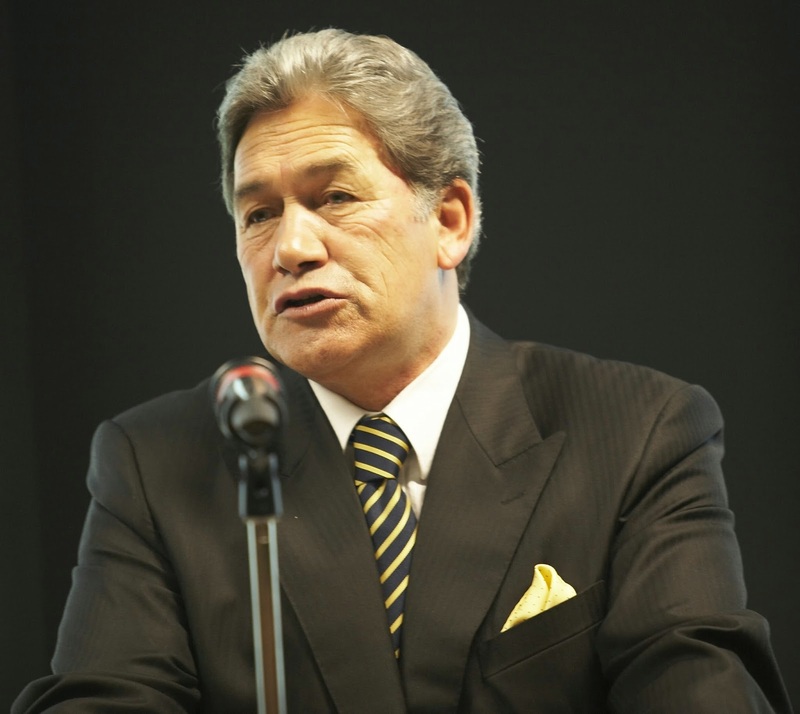 He got up and flayed Labour’s record, and Parekura’s record. It was a brutal devastating indictment of their time in office. The response from Parekura was a real contrast. He spent probably most of his speech greeting the various audience members by name, citing their children, what schools they are at, what he had done for those schools or communities and just connected to the audience is a very real way. Finally he declared that not only were post of the audience part of his extended whanau, even Derek was his cousin and he loved his cousin even when he was trying to take the seat off him and that Derek was a good man. Parekura was the winner of the debate, and of the election. It was a good reminder that politics is about more than just policies and politics, but can be very much about people at the individual level, not as abstract statistics. Parekura understood that Maori politics is (literally, culturally and spiritually) relationship-based. That's not to say Maori politics can't think beyond its relationships, rather the practise of Maori politics is particularised. The art of Maori politics reflects the importance of its intellectual foundations: ideas like rangatiratanga, mana whenua, mana moana, whakapapa, kanohi kitea, ahi kaa and so on. Each idea is relationship based - for example mana whenua is about the local relationship with the land - and each idea manifests itself differently from hapu to hapu, iwi to iwi and locality to locality. For that reason, it's difficult to universalise Maori politics. Compare that against New Zealand politics. National politics is exercised on another level. It's party-led and state-focused. Maori politics isn't. All politics is issues-based - the economy, the environment and so on - but New Zealand politics doesn't come with the explicit overlay of particularised cultural concepts. The New Zealand political tendency (and the Western tendency, see colonisation and globalisation) is to universalise its values and experiences. The difference is most obvious in Maori voting patterns. The Maori electorates vote overwhelmingly left-wing. Certainly at a rate that exceeds the proportion of those on the general role who vote left. The left has succeeded in integrating its values with Maori values. That's not to say that Maori values are left values, rather the left has done and continues to do a better job at articulating and exploiting common ground (particularising). The art of relationship politics is more refined on the the left. Take Michael Joseph Savage and T.W Ratana. They recognised the power of relationship politics in Maori society and Labour enjoyed the benefits of that alliance for decades. So when following Maori politics remember that when calling the horse race it's important to adopt the right frame of analysis. The logic of Maori politics is different. Parties and candidates that particularise and integrate with Maori concepts will be more successful. Post script: this is something of a cultural analysis. A class analysis of Maori politics and Maori support for the left is also appropriate. 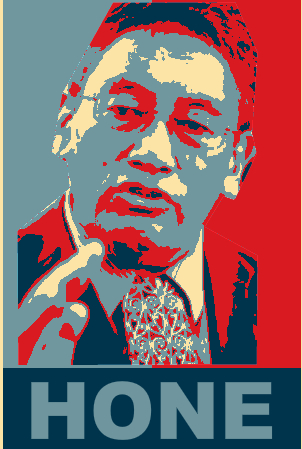 I don't claim that there's an objective truth to the character of Maori politics. There are different perspectives and mine is one.